Vivian was the son of John Vivian (1750–1826), of Truro, Cornwall, and his wife Betsey, daughter of the Reverend Richard Cranch, and the brother of John Henry Vivian. He was educated at Truro Grammar School, then at Harrow and Exeter College, Oxford, Vivian entered the army in 1793, and less than a year later became a captain in the 28th Foot. Under Lord Moira he served in the campaign of 1794 in Flanders and the Netherlands. At the end of the expedition, the 28th bore a distinguished part in Lord Cathcart’s action of Geldermalsen. In 1798 Vivian was transferred to the 7th Light Dragoons (later Hussars), and in Sir Ralph Abercromby’s division was present in the Helder campaign in Holland at the battles of Bergen and Alkmaar (19 September to 6 October 1799). In 1800, he received his majority, and in 1804 he became lieutenant colonel of the 7th. In command of this regiment he sailed to join Lieutenant-General Sir David Baird at Corunna in 1808, and took part in Lord Henry Paget’s cavalry fights at Sahagún and Benavente. During the retreat of Lieut-General Sir John Moore’s army the 7th were constantly employed with the rearguard. Vivian was present at the Battle of Corunna, and returned with the remainder of the army to England. It was not until September 1813 that the 7th returned to the Peninsula. On 24 November, Vivian (now colonel and aide-de-camp to the Prince Regent) was appointed to command a light cavalry brigade (13th and 14th Light Dragoons) under Rowland Hill, 1st Viscount Hill in Wellington’s army. With this corps he served at the Battle of the Nive (9–13 December). In January 1814, Vivian transferred to lead a light cavalry brigade in William Carr Beresford’s corps. The 1,000-strong unit included the 18th Hussars and the 1st King’s German Legion Hussars. Vivian took a marked part in the action of Gave de Pau and the Battle of Orthez. On 8 April, Vivian fought a brilliant action at Croix d’Orade on the Ers River, where he was very severely wounded. In this clash, the 18th Hussars seized a key bridge intact, helping Wellington to isolate the French defenders of Toulouse. At the beginning of 1815 he was appointed to the Order of the Bath as a Knight Commander (KCB); he had been a major general for several months. In April 1815, Sir Hussey Vivian was appointed to command the 6th Brigade of the Earl of Uxbridge’s Cavalry Division. Vivian’s brigade included the 10th and 18th Hussars and the 1st Hussars King’s German Legion. 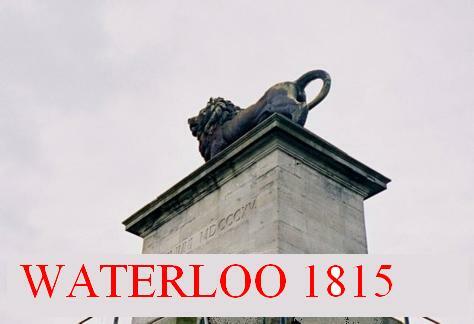 At the Battle of Waterloo the 6th Brigade was posted on the Duke of Wellington’s left flank. In the late afternoon, Vivian’s regiments, with those of General Vandeleur’s 4th Brigade, were ordered to move to support the centre of the line, which was under pressure from Napoleon’s Imperial Guard. After the enemy were repulsed, Vivian’s hussars made the final charge of the day between Hougomont and La Haye Sainte, sweeping the Middle Guard and Line units before them before breaking upon the squares of the Old Guard, which they soon learned to avoid. This service was rewarded by the thanks of both houses of Parliament, an award of the KCH, and the Orders of Maria Theresa and St. Vladimir from the emperors of Austria and Russia. After hostilities had ceased, Vivian remained in France as part of the Army of Occupation in command of the 2nd Brigade of Cavalry. In 1816 he was censured by army commander Lieutenant General Lord Combermere, under orders from the Duke of Wellington, for failing to report a disturbance in a French theatre caused by officers of the 18th Hussars. 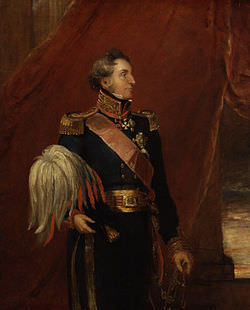 Vivian sat in the House of Commons as member for Truro and then Windsor from 1821 to 1831, after which he was made commander of the forces in Ireland and given the GCH. He was also appointed to the Privy Council of Ireland in 1831. From 1825 to 1830 he was Inspector-General of the Cavalry and in 1830 was appointed a Groom of the Bedchamber, serving King William IV throughout his reign until 1837, after which he was promoted in the Order of the Bath to be a Knight Grand Cross (GCB). In 1835 he became Master-General of the Ordnance (until 1841) and was sworn of the Privy Council of the United Kingdom the same year. In 1837 he was elected MP for East Cornwall, sitting until 1841. He was created a baronet of Truro in the County of Cornwall in 1827. In 1841, he was elected to the Royal Society as a Fellow in February and was raised to the peerage as Baron Vivian, of Glynn and of Truro in the County of Cornwall in the Peerage of the United Kingdom in August.